MedStar Southern Maryland Hospital Center, located in Clinton, is a nonprofit corporation operating 24 certified beds. This short-term care facility offers primary care, urgent care, outpatient rehabilitation, lab and radiology services, and specialists in cardiology, women's health, orthopedics, and sports medicine. MedStar Southern Maryland Hospital Center ("MedStar") has 24 certified beds, and at last count, had 24 residents. That is small. The average nursing home across the country has about 86 residents. The average home in Maryland has about 107. This MedStar facility is not simply a nursing home, but a hospital center, equipped to provide primary care and urgent care (which we take to mean ER services). This is not a typical nursing home. Whatever it is, it's extremely good - with an overall 5-star rating from Medicare, plus 5-star ratings in two other main categories. Could you have a nursing home lawsuit against this facility? Absolutely. We see viable lawsuits against great nursing homes all of the time. 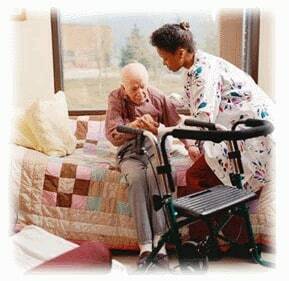 But, more often than not, it is the poorly rated nursing homes that do the most damage. MedStar is a unit of MedStar Health, which calls itself "a not-for-profit healthcare organization [that] operates more than 120 entities, including ten hospitals in the Baltimore-Washington metropolitan area…." MedStar Health has owned 100 percent of this facility since 2012. We complain about a lot of these hospitals. But this nursing home looks pretty darn good if this Medicare report is accurate. Before we dig deeper into this facility, let's look at some of the choices seniors have in the area. FutureCare Pineview: FutureCare Pineview is guilty of being merely average. MedStar gets the top overall rating of 5 stars; FutureCare Pineview gets three stars. Hard to imagine anyone taking this FutureCare facility over a hospital-based nursing home with this level of quality if they choice is available. Clinton Nursing & Rehabilitation Center: The MedStar facility in Clinton clobbers its three nearest-located Clinton competitors, very much including this one. Clinton Nursing & Rehab somehow managed to match MedStar on quality measures (both got Medicare's 4-star rating) but forget the rest: MedStar wins the overall rating, five stars to 1 star. Bradford Oaks Center: Even Clinton Nursing & Rehab outscores this Clinton facility, which is pretty bad. MedStar outscored Bradford Oaks in each of the four main Medicare categories, including five stars to 1 star overall. There's no comparison. The last standard health inspection of this MedStar facility, in March, 2015, turned up a grand total of two deficiencies: one for resident assessment and one for administration. That is, it had no deficiencies related to quality care, nutrition, or the other five categories affecting residents' health. This facility has had no Medicare complaint inspections since at least November 2015. Nor has it had any federal fines or payment denials in the last three years. A facility that offers sports medicine, among other things, is not your typical nursing home. This MedStar facility caters to hospital patients who need temporary care, such as rehabilitation, as opposed to long-term care, such as treatment for chronic illnesses or Alzheimer's. So Medicare's quality measures - stats that show the type and amount of care residents receive - apply only to MedStar's short-stay residents. That abbreviated numerical record presents a curious picture of this facility. On the one hand, the amount of moderate to severe pain reported by residents here was staggeringly high: 49.5 percent, versus the Maryland and U.S. averages of 13.8 percent and 16.4 percent, respectively. We have yet to see another nursing facility in which half the residents were in serious pain. On the other hand, a very high 83.5 percent of residents here experienced improvement in functionality - a big jump above the state and national averages (64.6 percent and 63.3 percent, respectively). Combined, these two stats (pain and functionality) suggest that MedStar takes in a lot of people who are hurting, and helps restore them to what they were able to do before. That sounds a lot to us like sports medicine, but it also could apply, say, to someone recovering from orthopedic surgery. The rest of MedStar's quality-measure stats are about even with the Maryland and U.S. averages in four categories, better on giving flu and pneumonia shots. No MedStar resident (or maybe the term should be temporary resident) received antipsychotic meds, which Medicare scores as a plus. Because Medicare's main criterion for rating facilities' staffing is the amount of time each resident gets with a nursing staffer each day, then Medicare was darn right to give MedStar a top 5-star rating in this category. MedStar also gave its residents more minutes per day with CMAs (certified nursing specialists) and physical therapists, and it was way ahead of the state and U.S. averages in providing residents with care from LPNs and LVNs (licensed practical nurses, licensed vocational nurses). At least according to the dry Medicare numbers, residents at this facility got a lot of nursing attention. So how did this MedStar facility wind up with a mere four stars (above average) for quality measures, which reflect the level of nurse staffing? We consider that another nursing home in the area, ManorCare Health Services - Adelphi, got abysmal Medicare scores in general (2 stars for staffing and overall; 1 star for the health inspection), but it beat this MedStar facility on quality measures, five stars to 4 stars. How could this happen? These hospital-based nursing home just tend to be better than other nursing homes. MedStar in Clinton is not for everyone - it can't be, because it's too small - but it appears to do very well for those who need what it has to offer. Call our nursing home attorneys today at 1.800.553.8082 or get a FREE confidential and case evaluation online. Our attorneys will help you better appreciate your settlement and litigation options and assist you in charting a clear path to maximizing the trial or settlement value of your claim.